In the last 8 months, Suzette Delancey says she has applied for 43 jobs and received 42 rejections. When she’s had the opportunity to interview, employers have said that her felony convictions—for delivery and attempted delivery of a controlled substance, methamphetamine, in 2009 and 2011—are too recent. Only one employer is willing to take a chance on her. The manager for Checker Cab, who was Delancey’s superviser when she worked for Bend Cab, has apparently offered to employ her if she got her taxi license. Unfortunately, the Bend Police Department denied her application for a taxi license and, last Wednesday, the City Council denied her appeal of that decision. Like many people with criminal records, Delancey has found that punishment continues even after the sentence is completed. And while her life has not yet returned to normal in that respect, she still has bills to pay. Without steady income—she has worked some odd jobs in the meantime—she said in her appeal letter that she is falling behind on rent and child support payments. But finding work isn’t just vital to ex-offenders’ ability to meet their financial commitments, it also helps keep them out of trouble. According to the U.S. Department of Labor, an unemployed ex-offender is three times more likely to return to prison than an employed ex-offender. It stands to reason that the stakes are even higher when their past crimes generated income. It’s a damning cycle—ex-offenders can’t find work, then re-offend to get by. Each conviction makes it that much harder to find work. There are resources in Deschutes County for ex-offenders—WorkSource Oregon lists a number of workshops and other services on its website—but no guarantees that jumping through the right hoops will land them a job. Police Chief Jeff Sale suggests that ex-offenders try not to get arrested after the completion of their sentence, and make an effort to develop relationships with people in the community who can vouch for them. Delancey, in her written appeal to City Council, suggests that the job offer should count. But the manager’s name is not included in the statement, and the potential employer gave no supporting testimony, written or verbal. But that wasn’t enough for Chief Sale or for City Council members, who voted unanimously to reject the appeal. Chief Sale tells the Source he worries that, if Delancey’s criminal activity follows a pattern, she could be due for another offence. The councilors agreed that not enough time had passed since Delancey’s most recent conviction and said they were not swayed by the appeal. And the council was well within its rights to deny the appeal. 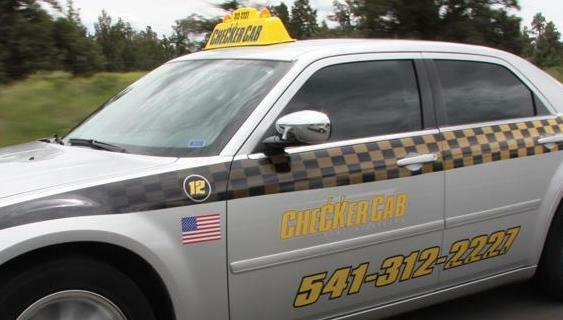 According to Bend Code, the city may deny a taxi permit if the applicant has been convicted of any felony, or misdemeanor crime against persons. The council did, however, ask Chief Sale to advise Delancey to apply again in 2015.